Ruth Mathilda Ostlund age 94, of Alma passed away Monday, February 4, 2019 at Ashley Care Center. Ruth was born October 21, 1924 in Merrill, MI to Esther (Anderson) and Carl Hartwick Ostlund. 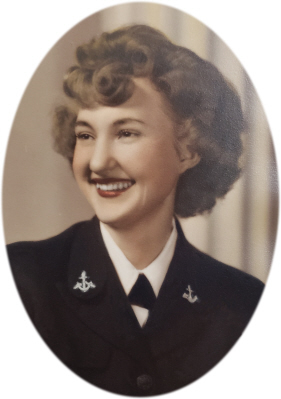 Ruth graduated from Elsie High School and was a member of the WAVES in the Navy during World War II. Ruth was a member of Immanuel Lutheran Church, Wheeler and also Church of Christ, St. Louis. Ruth is survived by cousins: Bonnie Jean Edgar of Pleasant Lake, MI and Carl (Mary) Anderson of Ithaca, MI. She was pre-deceased by her father Hartwick, in 1974 and her mother Esther, in 1978. Cremation has taken place, by her request, and there will be celebration of her life at a later date. Online condolences for the family may be made at www.smithfamilyfuneralhomes.com. The family is being served by Smith Family Funeral Homes, Ithaca, MI.